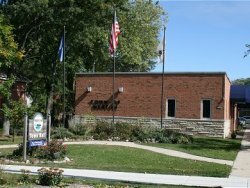 The Village of Merton is a cozy community located in the Lake Country area, twenty miles west of Milwaukee, Wisconsin. It is a quiet area where you can raise your family in a rural setting; plus, a great place to live for any outdoor enthusiast. There are several parks and lakes that surround Merton, where you can enjoy fishing, biking, hiking and water skiing along with many other activities. Merton is also a part of the well respected Arrowhead School District, which is known for its high academic standards in addition to its top-ranking athletic teams.